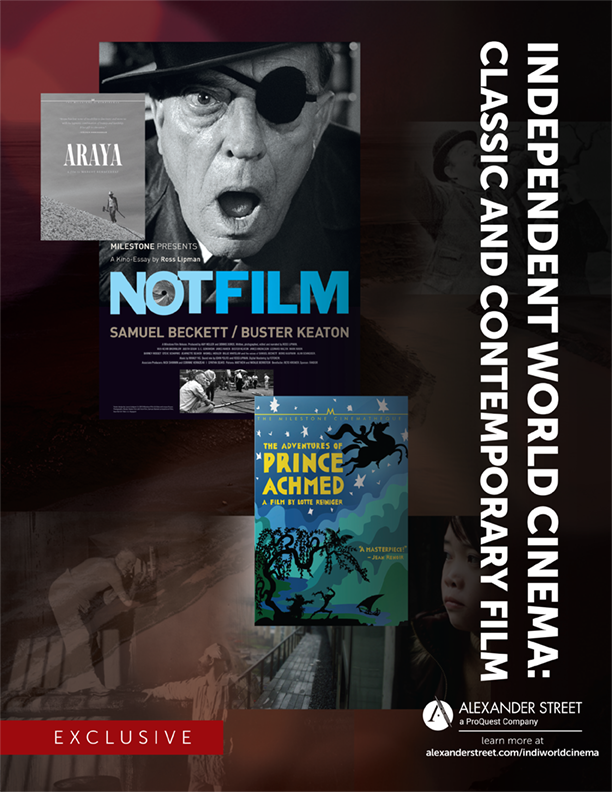 Independent World Cinema: Classic and Contemporary Film includes more than 400 of the most important films produced from the early 20th century to today. This exclusive collection proudly turns the spotlight on preeminent independent distributors—Milestone Films, Zeitgeist Films, Pragda, and Oscilloscope. More than just a cinema studies collection, these films support disciplines, such as cultural history, psychology, gender studies, anthropology, theatre, African- American studies, and more. Please note: this title is no longer for sale.